Beyond The Silence by Tracie Peterson and Kimberley Woodhouse is a Christian romantic thriller set in the fictional town of Angels Falls in the 1890’s. Some books take a while to get into – not this one, I was hooked from the very first page. Jimmy witnesses his mother’s murder and fears to speak again after being threatened by the murderer. His father Woody is arrested but then released as there is no evidence against him. The novel opens two years later as Lillian has accepted a job as Jimmy’s nanny, several states away from where she lives with her grandfather. Lillian’s grandfather is a bitter man who threatens to cut Lillian out of his life forever if she leaves. The novel has many themes and it explores faith in God. Lillian has had a privileged upbringing by her grandparents and has a strong faith. She had known much love until her grandmother died and then her grandfather became a changed man. Lillian in her new beginning clings to the only firm foundation in her life – God. Woody on the other hand used to be a godly man and full of faith but since his wife’s murder he has turned his back on the church and God. Lillian hopes to help him return to his faith. Woody has been ostracised and gossiped about by the townspeople. The authors show how damaging it is to gossip and how it is against everything that God stands for. The love of money corrupts people. When money rules lives, evil invades. Beyond The Silence demonstrates how the love of money causes the downfall of characters. In contrast is love which builds up. Lillian is overflowing with love. She is the epitome of love as described in 1 Corinthians: 13. She is patient. She is kind. She is gentle. She sees the good in people and brings out the best in them. Jimmy is absolutely delightful. The reader learns his fears and his joys. The authors have beautifully portrayed his bond with both Lillian and his father. Beyond The Silence shows the prejudices of the day towards the mentally handicapped. Harry is a twenty year old but trapped within a child’s mind. He is a gentle giant but he encounters cruelties. Lillian and Jimmy treat Harry kindly and they find a kind and loyal friend in him. The novel deals with the theme of forgiveness. Guilt is also tied in with forgiveness. Woody is consumed with guilt over his wife’s murder. He was not there. He needs to forgive the unknown murderer but he poignantly says to God “how can I forgive them when I cannot forgive myself?” God understands our guilt. He understands our fears. God needs us to be honest with Him and to turn to Him and to trust Him. Woody needs to make that journey. Beyond The Silence shows the need to be loved and to belong. Characters are searching for families that will love them. Families can be made up of all sorts of individuals but ultimately what unites a family is love. I thoroughly enjoyed Beyond The Silence. I adored the characters of Jimmy and Harry, they just cried out to be loved. I empathised with Lillian every step of the way. And I felt Woody’s pain and understood his anger. 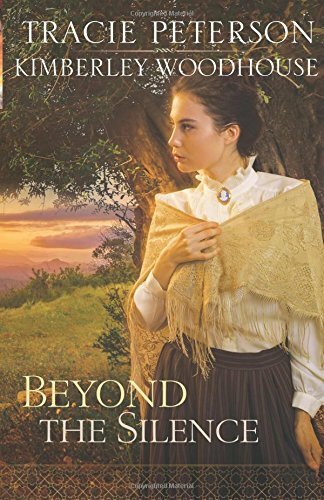 Beyond The Silence is a wonderful piece of storytelling from the authors and I am looking forward to reading more novels by them.